Kunal Mehta is the Head of Consulting at Stratasys. 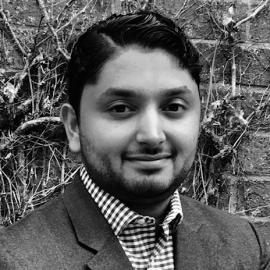 In his current role, Kunal drives strategic and operational additive manufacturing transformation for his clients. From designing AM strategies to identifying applications on the shop floor, Kunal is passionate about driving the overall adoption of additive manufacturing. Prior to joining Stratasys Kunal spent 12 years with Accenture Strategy, a global strategic consultancy. During that time, he focused on assisting clients with emerging trends, particularly initiatives aimed at driving profitable growth through the acquisition, development and retention of customers. Kunal’s work has spanned both B2B and B2C as well as across multiple industries including Manufacturing, Telecommunications, Aviation, Automotive, Retail, High Tech, Medical Devices, Luxury Goods, and Consumer Packaged Goods. He holds a Bachelors of Biomedical Engineering from the University of Minnesota and a Masters of Business Administration from Melbourne Business School.